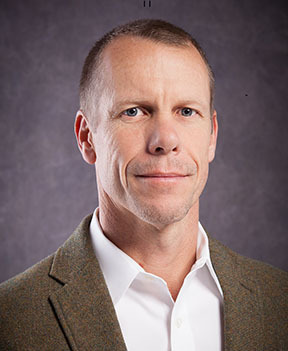 Eric Johnson is a Professor at Loma Linda University in the Department of Physical Therapy where he serves as the Neurology Track Coordinator and Director of the Neuroscience Research Laboratory. Dr. Johnson is an alumni of Loma Linda University and Massachusetts General Hospital Institute of Health Sciences and has taught graduate and post-graduate courses in the United States, South America, and Asia. He’s an APTA Board Certified Clinical Specialist in Neurology and maintains multiple clinical competency certifications including vestibular rehabilitation and cervicogenic dizziness. His research interests include sensory integration disorders, dizziness, and educational design. Dr. Johnson is a Harvard Macy Institute Scholar and was the 2014 recipient of the Loma Linda University Kinzer-Rice Award for Excellence in University Teaching. The course is an exploration of chronic motion sensitivity (CMS) from an evidence-based perspective. It covers theoretical constructs of CMS, questions answered in our research laboratory concerning patient management, in addition to current/future research direction. Explain the most widely accepted theory of motion sensitivity. Describe various areas of research being conducted at Loma Linda University concerning chronic motion sensitivity. Discuss patient management for chronic motion sensitivity related to postural stability and visual reliance. Loma Linda University Medical Center, Staff Development is accredited as a provider of continuing nursing education by the American Nurses Credentialing Center’s Commission on Accreditation. (ANCC). Loma Linda University Medical Center, Staff Development is a Continuing Professional Education Accredited Provider with the Commission on Dietetic Registration. Registered dietitians and dietetic technicians, registered will receive 2.0 continuing professional education units for completion of this program.